Our mindset is to help you succeed. Our skillset can make it happen. From helping small businesses and entrepreneurs navigate the necessities of a successful product or service launch, to providing established companies with a trusted, proficient marketing partner to outsource to, we’re here to make your goals a reality. How much will my package cost? The most burning question in the packaging design world today. PRICING – this is a ‘feature’ of packaging that I wrestle with everyday. I know you are trying to get on the shelf for the least amount. But if you aren’t producing 10s of 1,000s then you can’t expect to get the best ‘per piece’ cost. I would hope that you are looking at this as an investment to see how well your product will sell first. You’ve got to take that first step. I know how important your product is to you. You want it to be as professional as possible. You’re going up against all the Big Boys of your particular channel, right? Companies with much deeper pockets than yours. The process of branding your company starts in an unlikely place–your product’s packaging. It’s your business’s image on the marketplace. You need to understand that your product’s packaging will always have an influence on the purchaser–be it positive or negative. If a customer doesn’t like the way your product’s been packaged, it’ll detour them just as much as positive reactions could influence them to buy. Shaking up the home medical equipment marketing with fun packaging. Contact our packaging experts for a free quote and to discover how we can create package design and P.O.P. that will compete with the big guys! Answering just 3 key questions for consumers on your landing page can boost conversion rates. 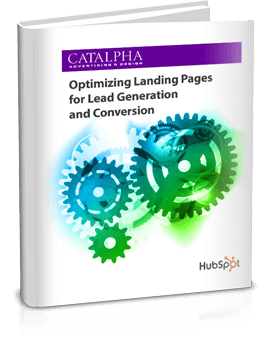 Download our free ebook – Optimizing Landing Pages for Lead Generation & Conversion to learn more.